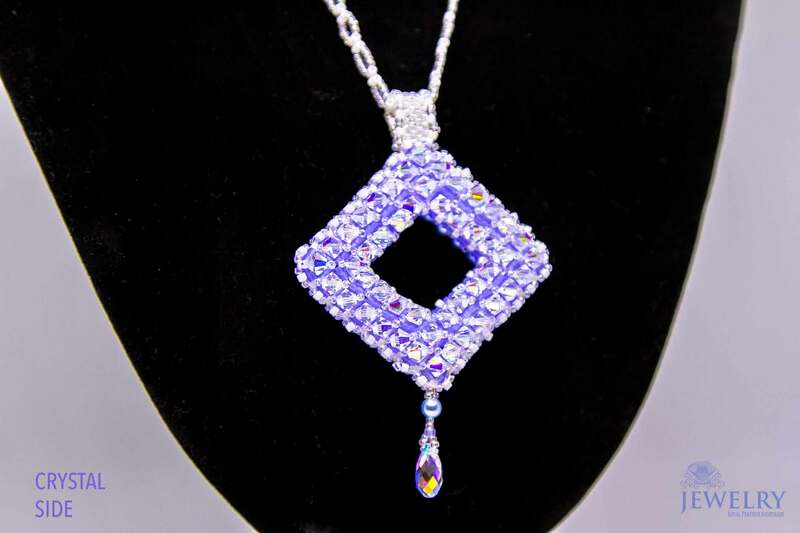 "Double Diamant" pendants /Uniqueness,fast and safe Delivery and more..
People will stare. Make it worth their while. There is no doubt that the fashion industry has been blooming rapidly throughout the world. Everywhere you go, you should absolutely be fashionable as people tend to perceive a lot of information about you from your fashion style and sense. One of the great pieces of jewellery that women wear is the necklace. The necklace has become a commonly worn accessory because it actually works and is very effective in making you look stunning and stand out from the crowd, but not every necklace has that kind of power. Our amazing necklaces “Double Diamant” have that kind of power and potential to make you look extremely gorgeous and beautiful. You will surely become the talk of the event while wearing our glamorous jewelry , casual accessories . 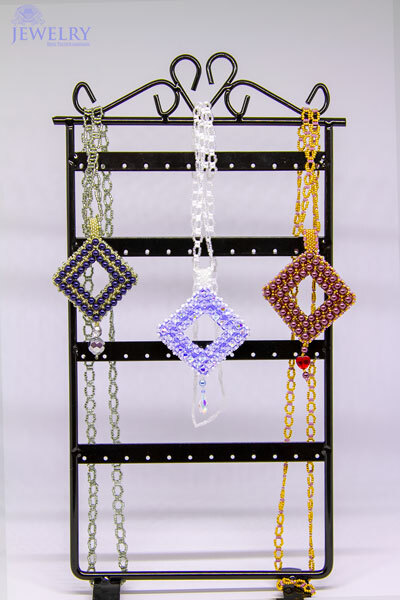 These unique necklaces are designed from materials of the highest quality meaning that they are made for quality and perfection. The necklace chain is made from high-grade Toho seed beads which have been thoroughly polished to give it a smooth and shiny finish. You can get our amazing necklaces in 3 stunning pendant designs. Each pendant itself is handmade with perfection from a combination of mystic and rare components that are specially imported from different parts of the world. 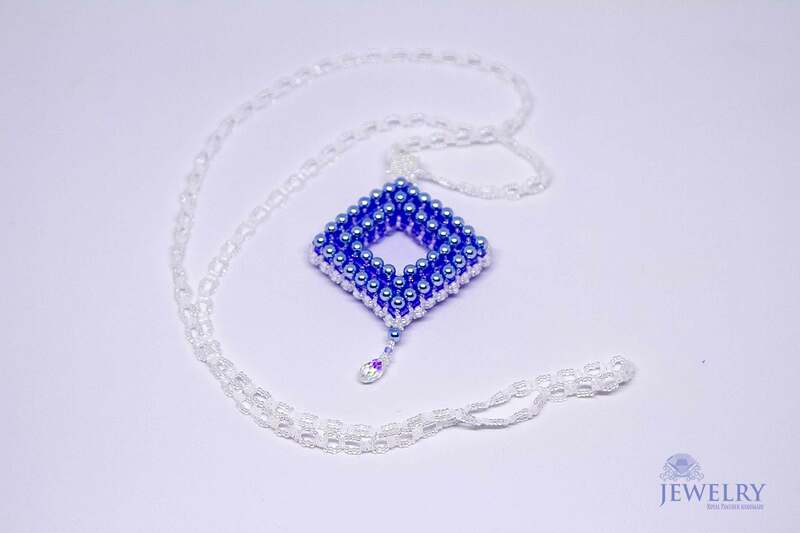 Our first pendant Blue/White variant is made from Toho seed beads that provide the necklace with a spectacular essence that will just leave the viewers in awe. 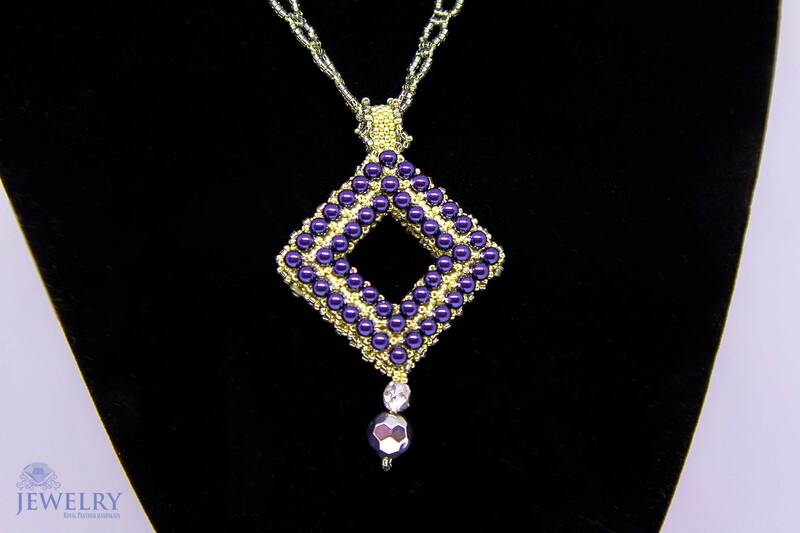 Size pendant is 8.3cm x 5cm with 76cm beaded chain. Can be very suitable as a wedding jewellery for the bride. Our second pendant Red/ Purple variant consists of shimmering Swarovski pearls and bicones which give the necklace its extraordinary shine which works in perfect harmony and seeks to attract the attention of the crowd. 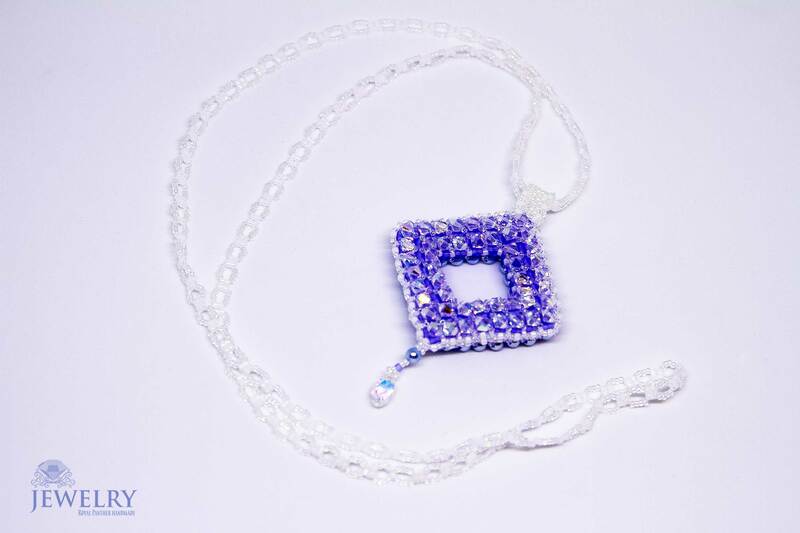 Size pendant is 8.3cm x 5cm with 76cm beaded chain. 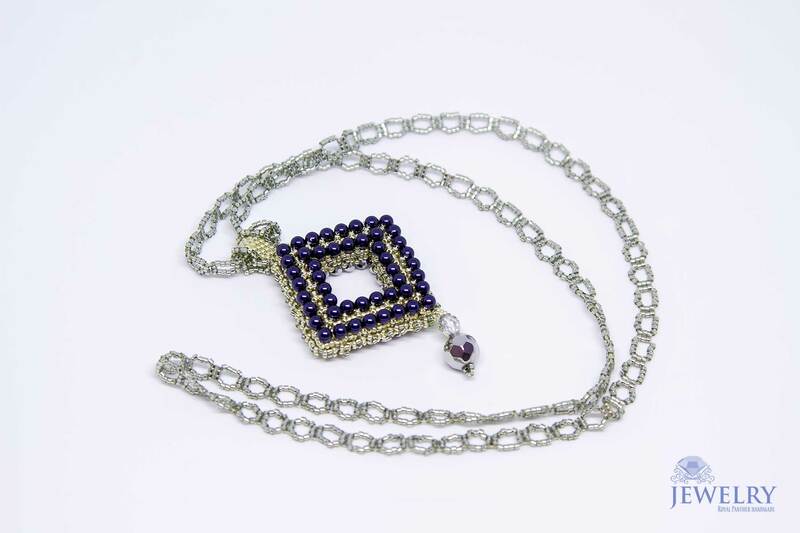 Finally, our third pendant Silver/Night Blue variant is embedded with Preciosa stones which are cut exclusively from the finest synthetic crystals, and Swarovski pearls making them almost indistinguishable from their natural counterparts.Size pendant is 8.3cm x 5cm with 76cm beaded chain. Each of the above-mentioned necklaces along with their respective pendants have their own uniqueness in terms of looks and essence. Regardless of whichever one you pick, you will absolutely look fabulous and dashing without any doubt. You have been provided with great options of necklaces as we believe that everyone has their own personal preference.